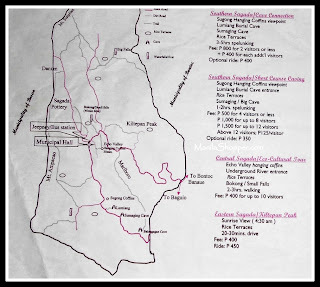 When it comes to nature tripping, trekking and spelunking adventures, Sagada should be on top of your list. Everyone could easily be captivated by its lush, green mountains, distinct pine trees and cool, fresh air. 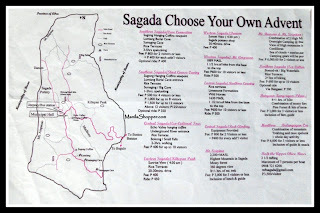 Indeed, Sagada is one of the most beautiful and enthralling places here in the Philippines. 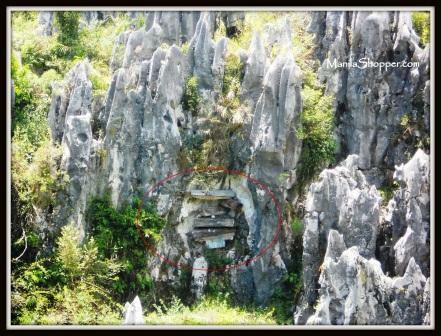 One of the most popular attractions – the Sagada Hanging coffins. The coffins were made from carved wood, hallowed out from a tree trunk. They were carefully stacked, arranged and suspended into the mountain rocks through the use of beams, to prevent the bodies from being taken by beasts and bring the deceased closer to heaven. 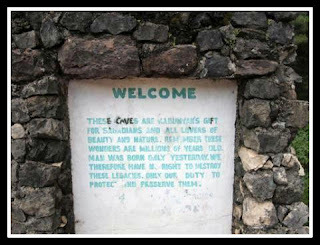 Spelunking at Sagada is, I may say, an amazing adventure which you need to experience at least once in your lifetime. To get the most out of your spelunking experience, a proper attire is suggested...please check saggas.net/spelunking-attire. 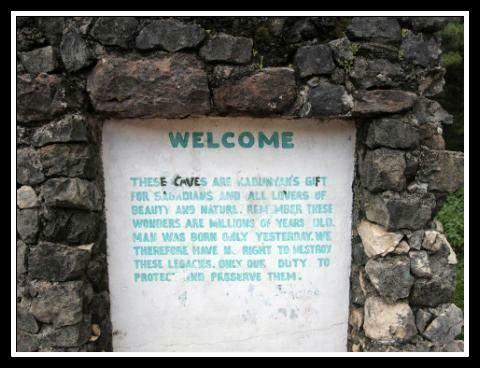 "These Caves are Kabunyans gift for Sagadians and all lovers of beauty and nature. Remember, these wonders are millions of years old. Men was born only yesterday. 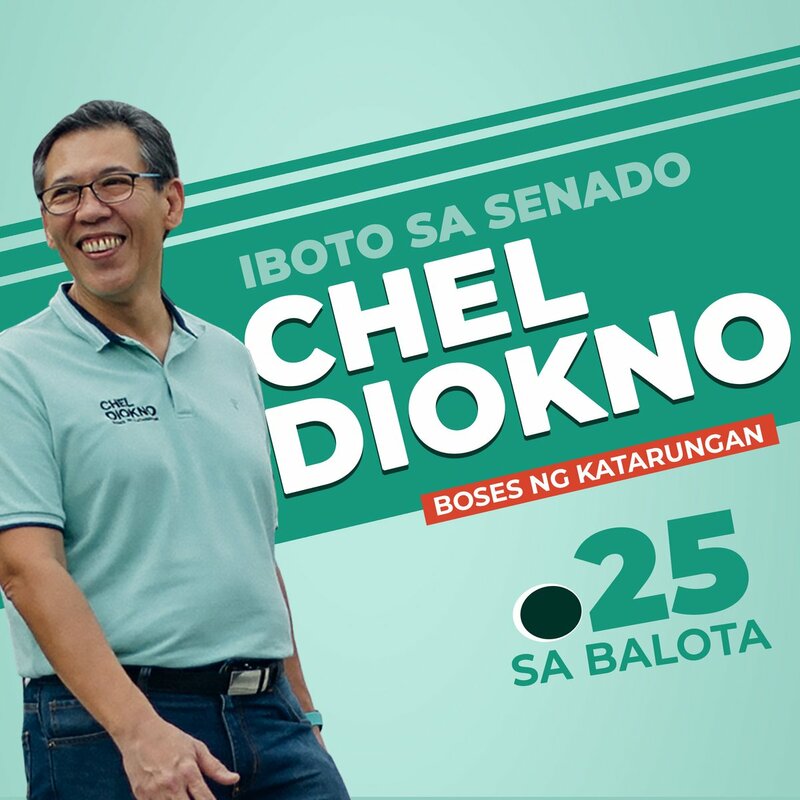 We therefore have no right to destroy these legacies. 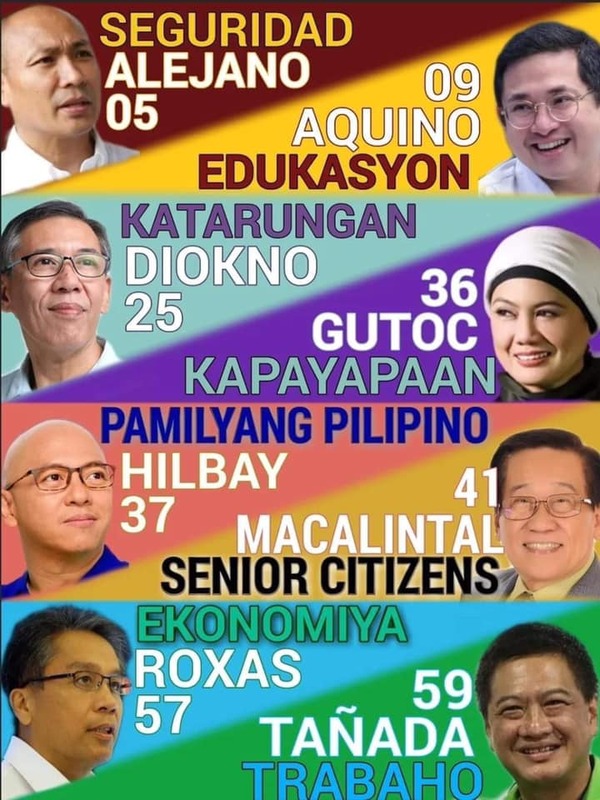 Our duty is to protect and preserve them"
You can choose your own adventure at Sagada. 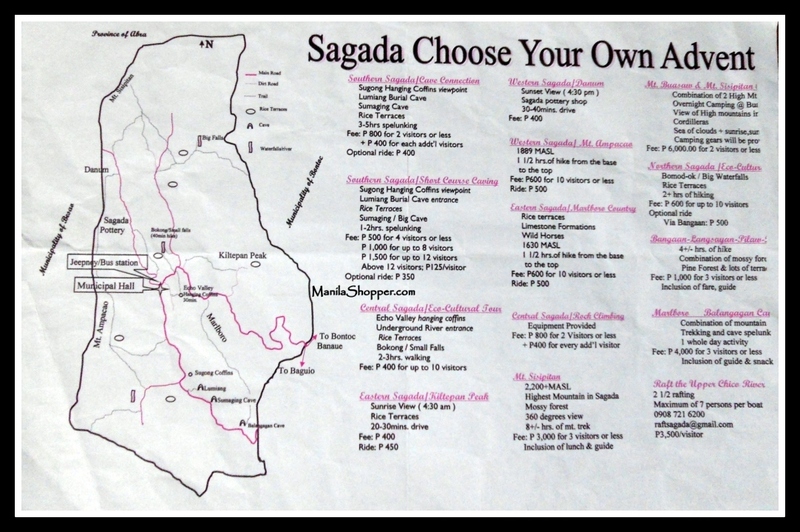 So, the first thing you need to do as soon as you arrive Sagada is to visit the Sagada Tourism Office located at the town proper. Make sure to get a tour guide (don’t worry, fees are just minimal), as well. Click the posters for a bigger view. 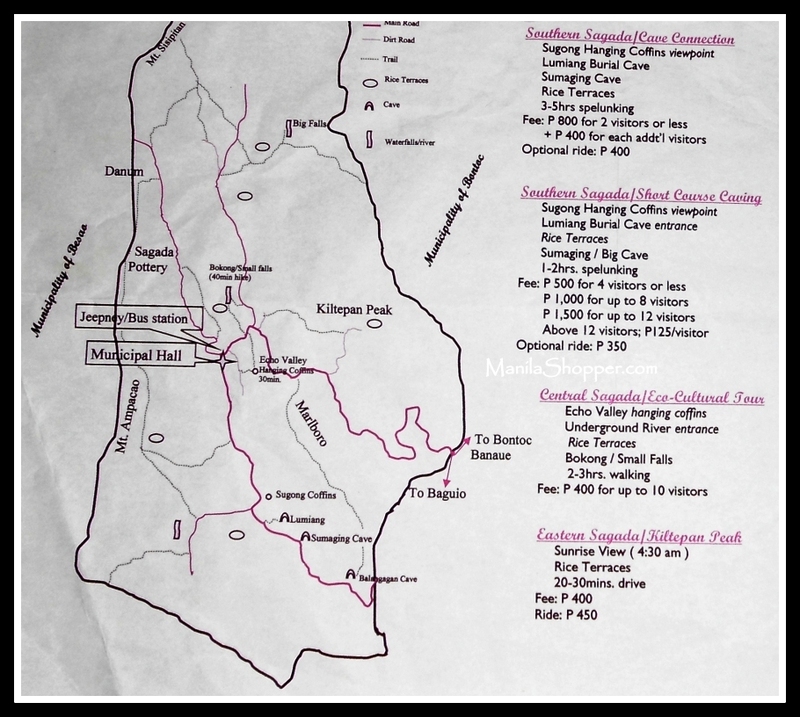 The posters indicate the adventure tours and things you can do at Sagada and the corresponding fees.